Just like when you buy a new car and see it everywhere, once you start really looking for live music in the city, you realize the current flows strongly here. 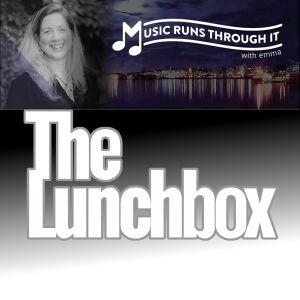 My guest today is Emma Chevarie, the creator of Music Runs Through It, a blog helping promote live music performances held all throughout the Fredericton area. She also writes as Tourism Fredericton’s Night-Life Correspondent, appears on CBC Radio Fredericton as a Live Music Columnist, and helps organize and arrange musical performance in the city. She joins me to talk about what Music Runs Through It has become, her mission to let people know about the numerous live music performances and venues in the area, and the upcoming show of Jesse Roper she’s arranged. Jesse Roper is touring their new album, Access To Infinity, and will be performing at Corked Wine Bar on Regent St this Thursday night at 8pm.